Good morning!!! How was your weekend? Ours was great until the rain fell and fell and fell. Let’s just say we were knee-deep in mud while trying to get a handle on the flooding in the backyard. My husband worked his tail off and solved the problem but it was hours of work. Our hearts go out to everyone who is suffering major damage with all of the rains. We know it has caused an unbelievable amount of destruction around the country and it breaks our hearts. Prayers for sunshine. Due to the rain, we stayed in for much of the weekend but managed to sneak in a date night on Saturday. Here is our Monday Morning Wrap-Up. Do you ever spontaneously decided to tackle something and then hugely regret it? I was getting cabin fever with the rain and suddenly ran upstairs to dump our all of our linens. After moving in, I basically shoved it all in our cabinets. I know it needs to be better organized and labeled so I thought I would get it done. Uh huh! Shortly after dumping it all I was so over it. That just happens sometimes. I did purge things we don’t use which is a nice accomplishment. Then I shoved it all back in. You can see the cute baskets in the back. They are $10 each at Michaels right now and I may be using them. Time will tell when I finally get around to this again. This was the image I had in my head. Isn’t this gorgeous? 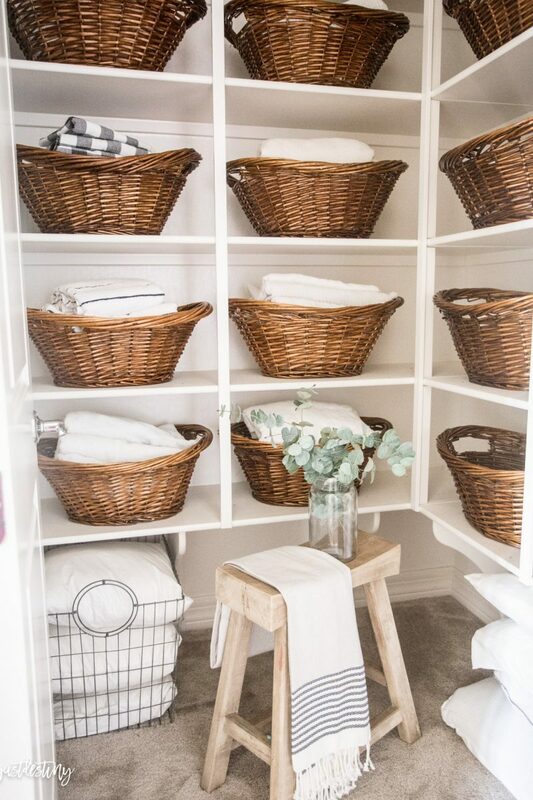 My friend, Destiny, created the most beautiful linen closet. My space is a cupboard not a closet so I think I may have gotten ahead of myself. But this. This is dreamy. I would just hang out and fold linens all day. Well done, Destiny. Well done. Saturday we snuck out for a date night. 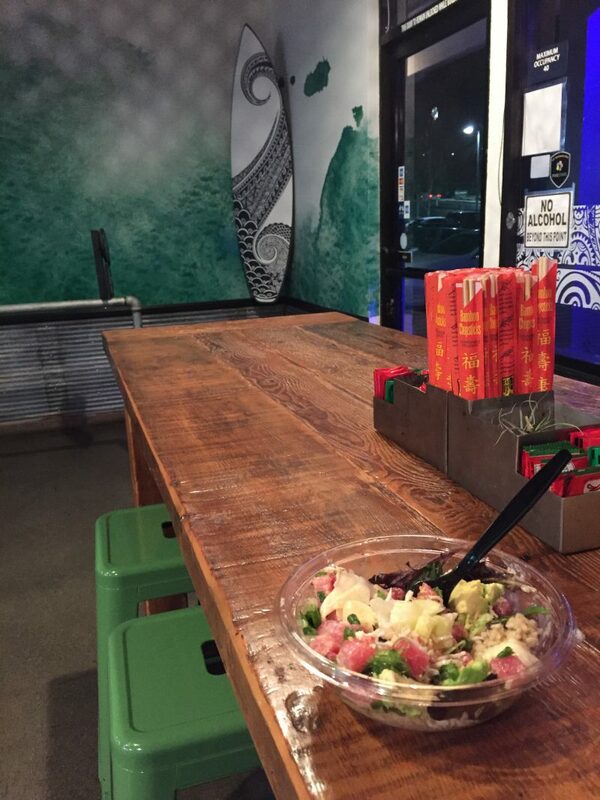 If you are local I can’t say enough about Fins Poke Fusion. It’s soooooo good. My husband hadn’t been yet and I had been talking it up. He agreed it’s fantastic. We grabbed dinner here and then headed to Union Market which is another place we love. 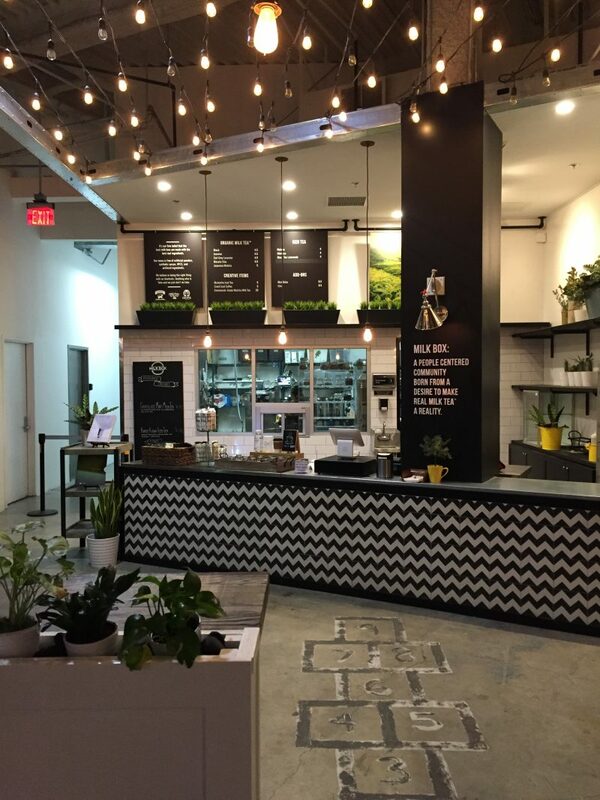 Union Market is packed with darling shops, restaurants, a central bar and even table tennis. Great place to go with a group because there is something for everyone. 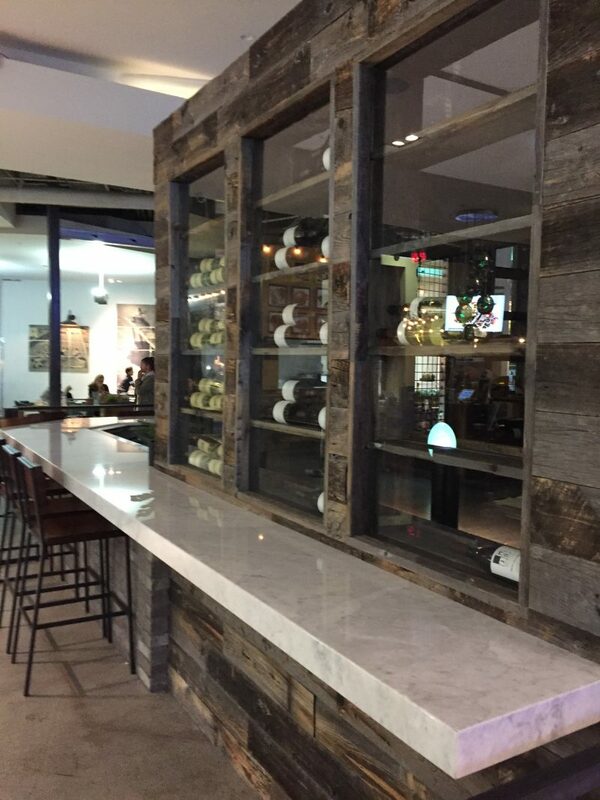 The marble bar and reclaimed wood had me at hello. The wood reminds me of our son’s room we did for the One Room Challenge. I miss that wall! 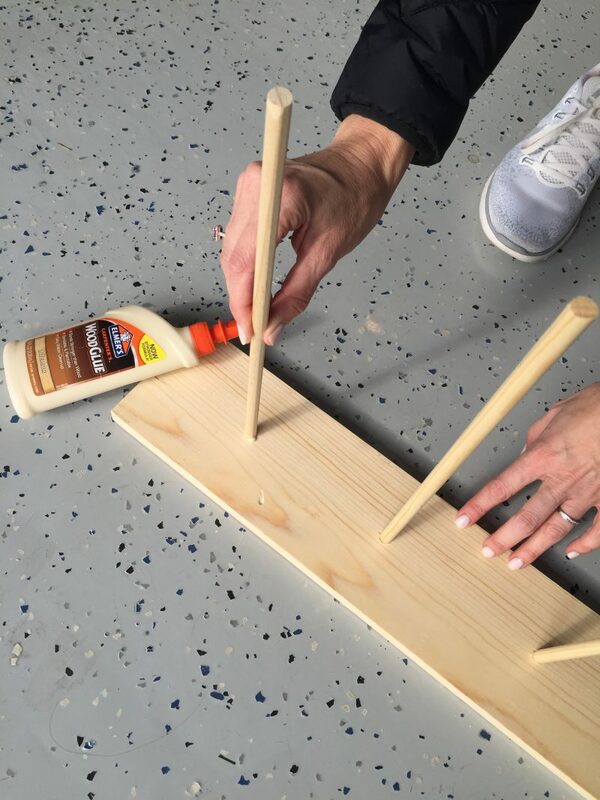 Working on a fun post for this week that includes this easy DIY. Any guesses about what it’s for?! Can’t wait to share. Just a heads up if you are looking for a fun Valentine’s Day gift for someone you love. 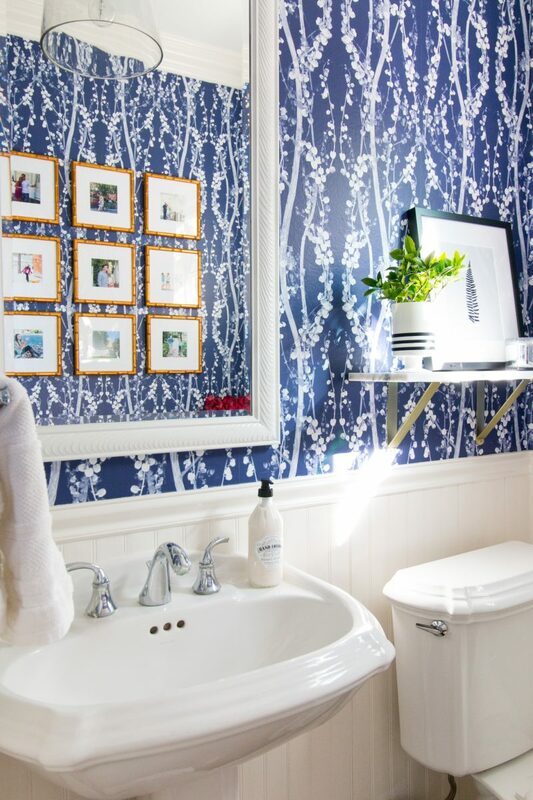 We used Framebridge for our gallery wall in our powder bathroom and they are offering the cutest heart Instagram prints right now. 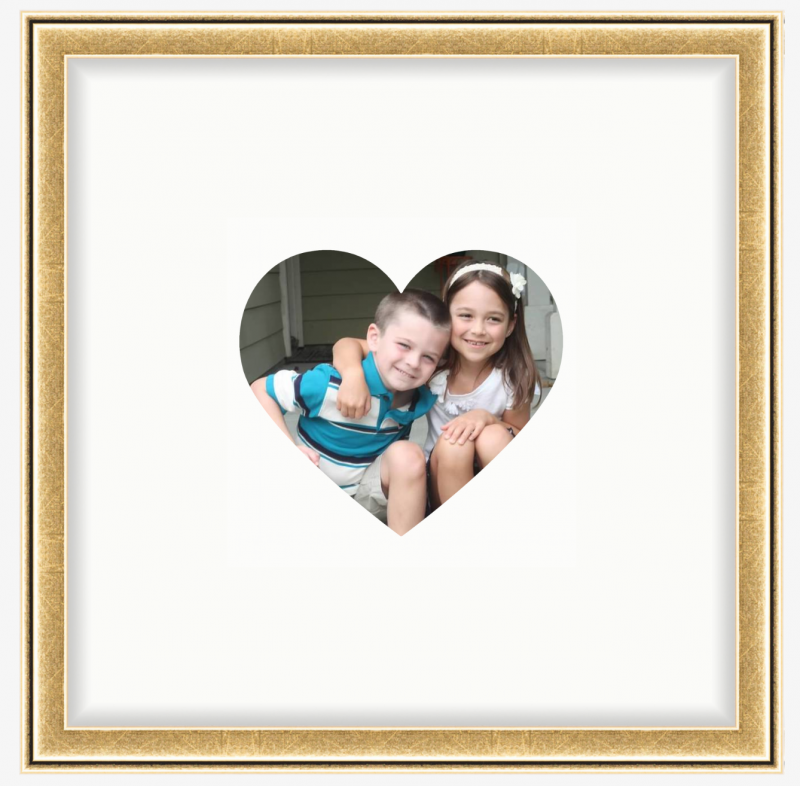 Any image you choose gets framed and shipped for $39. Such a fun idea. Here is an example of one I put together. Those little faces. My how time flies. I do think these are such a nice gift idea. You can try one out here. 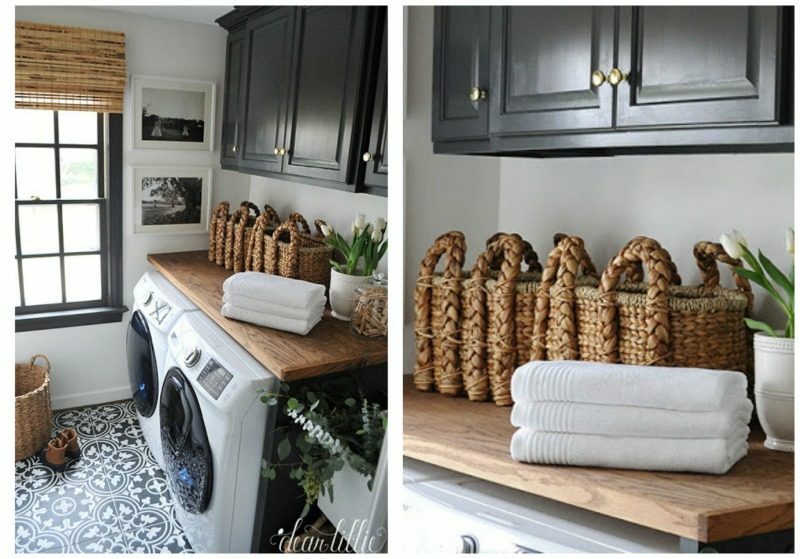 I took one look at this laundry room and fell in love. Isn’t it just gorgeous. It’s fantastic and the same look I am hoping to achieve in ours one day. 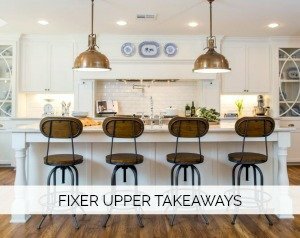 I love the warmth and dark cabinets with the lovely wood countertop. It’s just all so pretty. 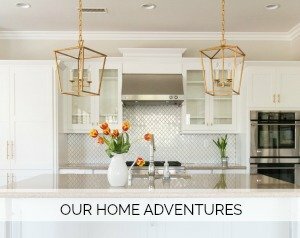 You can see all of the details over at Dear Lillie. Was supposed to be supporting a friend today with the loss of her father but alas my sweet girl is home sick. Praying she is back to her spunky self soon. So maybe I’ll tackle that linen closet after all. Maybe. Have a great Monday, my friends. And in the spirit of the Great Kindness Challenge going on, let’s all make it a goal to up our random acts of kindness this week. Sounds like you had a relaxing but fun weekend! 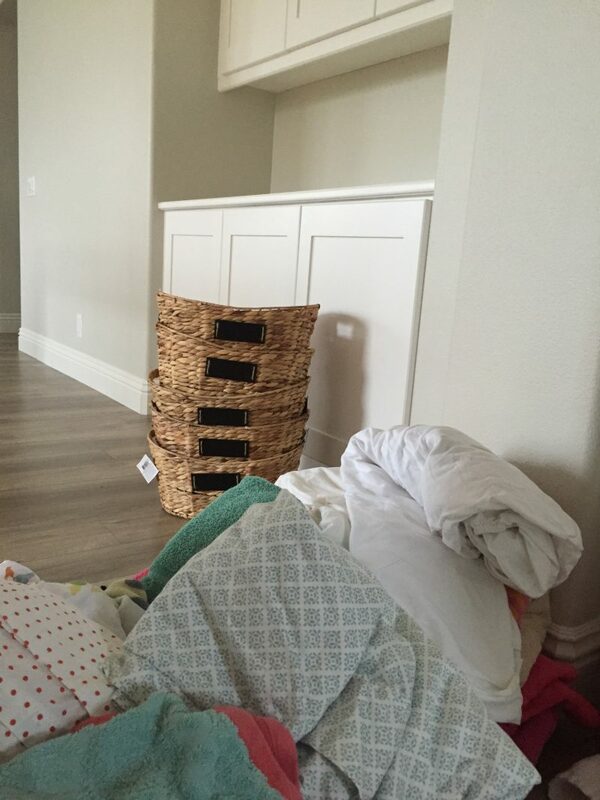 If you do tackle your linen closet would you do a post on it? I have a linen closet begging to be organized, and I just fear that if I start that I’ll loose steam! Have a great week! Hope your daughter feels better!